Then Staff Sgt. Nick Popaditch celebrates the capture of Baghdad on April 9, 2003. A former Marine who unwittingly became an icon of the Iraq invasion is now planning to launch his own line of cigars in an effort to raise money for wounded service members. Retired Gunnery Sgt. Nick Popadich, immortalized in an April 2003 photograph taken by Associated Press photographer Laurent Rebours, will launch his new label called Cigar Marine this Saturday at an event in El Dorado Hills, Calif. A portion of the proceeds will go to the Injured Marine Semper Fi Fund with the goal of raising $1 million. The first two releases under the new label include a double-wrapped torpedo called The Gunny and a flavored spiced rum cigar called The Tanker. 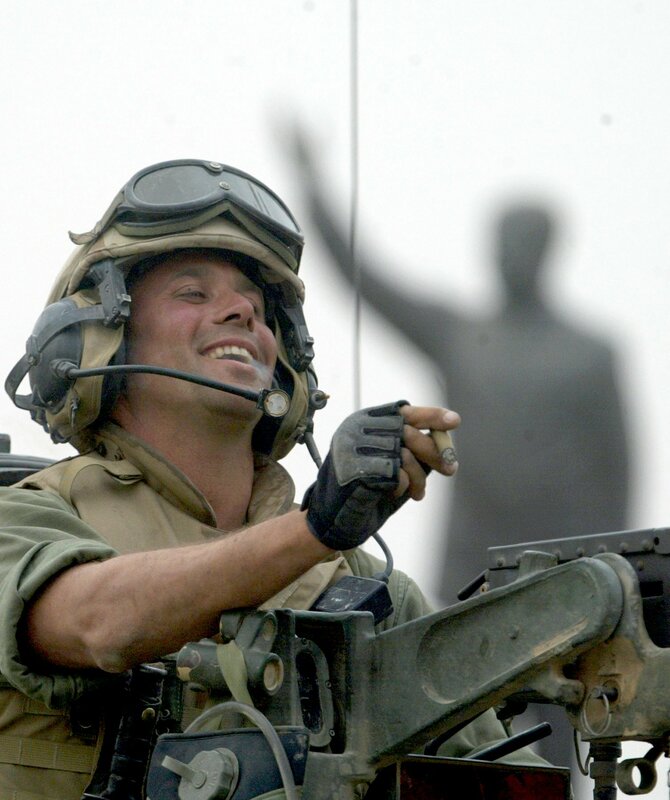 Popadich is best known as the “Cigar Marine” for the 2003 photo of him in downtown Baghdad celebrating atop a tank, with an ear-to-ear grin and cigar in hand. His likeness was broadcast across the globe in the hours and days following the fall of Baghdad. Popadich later retired as a gunnery sergeant after being injured in 2005 during the First Battle of Fallujah. He was struck by a rocket propelled grenade after opening his tank’s hatch and lost his right eye. 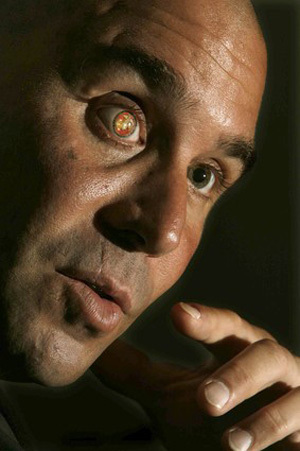 He later became known for his prosthetic eye emblazoned with the Eagle Globe and Anchor. Thank you for mentioning our book, Once a Marine. If you would like more information about the event, please check at: http://www.eventbrite.com/event/4653264038. I’d like to buy some of your cigars. Let me know the details. Hello Gy. Boyko – Thanks for your interest. You can browse “The Cigar Marine” full product line here: http://www.artofcigars.com/category/5/The_Cigar_Marine.html You can purchase through the website, or feel free to contact the store directly: 916-939-1855. Makes a great Christmas gift too!